Eddie Berganza’s bad acts have been one of the worst-kept secrets in comics for years. Usually, this kind of comics-specific information that floats around Twitter feels too inside-baseball for anyone outside to care about, but Berganza’s behavior has been repeatedly covered by more mainstream sites; places where people are just as likely to go for tidbits about MCU actors or new Her Universe products as they are to go for in-depth comics coverage. Berganza’s long history of sexual harassment has been so well-documented for so long that plenty of us in the comics industry gave up hope of ever seeing ramifications for his behavior. Then Buzzfeed published a detailed exposé about Berganza’s repeated sexual assault, and DC fired him three days later. As stories of assault and harassment from Harvey Weinstein, Kevin Spacey, Brett Ratner, an NPR executive, and others broke—when the first dominos began to fall—people who love comics looked at our industry and wondered if the abusers in our ranks would be next to fall. It felt like a distant hope, in part because we’d already been disappointed so many times. 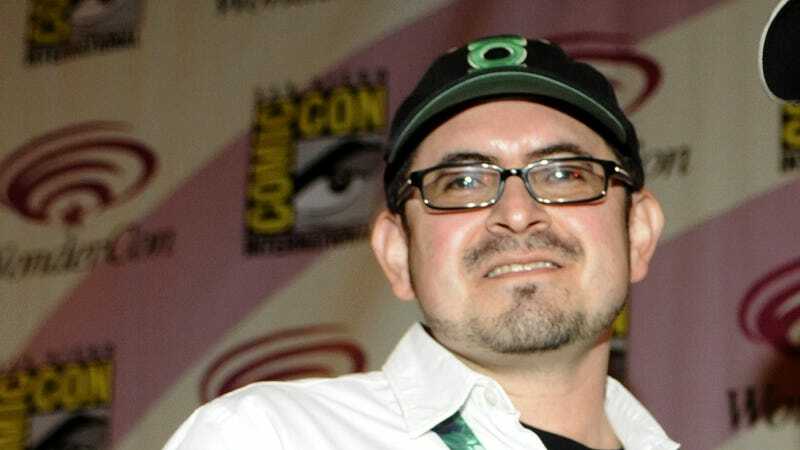 Unlike some of the men in other industries, Berganza and men like him have been called out by comic creators, journalists, and fans for years. It took a seismic cultural shift for the allegations against Berganza to mean anything to the people with power in the comics industry. As someone who’s been in this industry for a long time, reviewing and creating comics, I expected to feel relieved, because this is progress. What I felt instead was fear. I felt conflicted. Not about Berganza, specifically. It was fairly clear that DC wouldn’t want the bad publicity that now comes from trying to justify his continued employment, especially with a big movie to launch this weekend. But I’ve been watching the rest of the “scandals” unfold online, and I began to worry about the fallout—not for the men accused, but for the vulnerable people who work within comics ultimately at the pleasure of enormously powerful publishers with the power to protect serial assaulters and make life difficult for anyone who goes against them. The comics industry is not as big as Hollywood, and those of us covering comics in the critical sphere are not trained journalists like NPR employees. The comics industry, even including non-professional critics and reviewers, isn’t a big one. There are a lot of intersecting friendships and loyalties, further complicated by the fact that the vast majority of the jobs in this industry are freelance, especially working for one of the traditional print publishers. Comic creators who don’t want to self-publish are left incredibly vulnerable by this arrangement; many are in constant pitch mode, chasing their next paycheck and selling stories to multiple publishers, going to conventions and running Patreons to make sure they can pay their bills. The number of crowdfunding campaigns and art sales that come up every year just to help famous talents get the healthcare they need should tell you that something is broken with the way all this works. We’re all vulnerable to blowback. A lot has been said about the people that did push back on Berganza, in particularly Greg Rucka’s refusal to work with him when he returned to Wonder Woman as part of the Rebirth launch. Instead of dismissing Berganza, DC instead moved Wonder Woman to the purview of a different editor. It’s worth giving Rucka credit for leveraging his privilege, but it’s also worth noting that only someone like Rucka could demand action, and that his action only served to keep him from working with Berganza. Rucka is well-known and popular enough that he could put that pressure on DC, but at the end of the day he’s still just a freelancer, employed at the will of the publisher. DC sided with its abuser employee. Other people who have refused to work with Berganza or complained about his behavior didn’t have their books moved to other groups—they didn’t work at DC. There are constant reminders on Twitter to watch what you say online if you want to work at a publisher, because a comment or criticism can seriously impact your prospects. It’s little wonder more and more people are turning to creator-owned work, though that’s a discussion for another time. The motivation for corporations to take care of a problem isn’t going to be doing what’s right, but doing what results in the smallest PR problem. People will continue to hold DC’s feet to the fire about this, and rightly so. As a corporation, DC has exposed itself to criticism, if not legal ramifications, by keeping Berganza on staff for as long as it did. DC proved what people already know about most corporations: The motivation for corporations to take care of a problem isn’t going to be doing what’s right, but doing what results in the smallest PR problem. Other comics publishers have allowed abusers and harassers to step down and take on roles as freelancers to distance and absolve themselves. They’ve all paid people who have repeatedly and in some cases systematically harassed, bullied, and abused others. Keeping creators at arms length by making them freelancers allows every traditional publisher to avoid taking responsibility. It allows them to perpetuate issues with access to healthcare and intellectual property rights and harassment. It makes it not only possible, but accepted and expected that comic creators have no recourse when they’re up against a corporate giant. This isn’t David versus Goliath, it’s David versus Goliath and his army of cartoon-funded lawyers. As of Monday Berganza is gone from his powerful position at DC, which is good. It would be easy, tempting even, to simply vilify Berganza and pretend that we’ve fixed every problem that plagues our industry by getting rid of him. So many of us fell in love with comics full of superheroes who can overcome evil in a single issue, and I think we’d like to believe we can, too. How nice would it be to believe that getting rid of one man can cure us? But Berganza, like Weinstein and Spacey and Rattner, is a symptom, not the disease itself. While comics are riding the same wave of change as Hollywood (and the press and politics), we have specific, unique issues that need confronting. The relative size of this industry—the thing that can make it feel so remarkable and tight-knit when confronting an external threat—is now a knot to undo. Everybody knows everybody else, and is in everybody else’s business. With Berganza finally facing some consequences, other familiar names are cropping up and people are leaping to their friends’ defense. It’s uncomfortable and difficult to hear that someone you care about and respect has done something or said something unconscionable. Like Weinstein, Berganza is a convenient villain. It’s much easier to focus ire on him than to hear an allegation against a friend or admired acquaintance in the comics world. But if we don’t listen to these other stories, don’t take them seriously, we are failing to take advantage of this opportunity to make the comics industry a safe place for everyone. We’re failing anyone who’s felt unsafe at a convention or a book signing or a publisher’s office. When other stories of harassment and abuse come up, the reply cannot be to dismiss them as “not as bad” as Berganza. It cannot be that the perpetrator is “a good person.” Comics is so small that every bad actor is going to be friends with someone they don’t want to believe could be a harasser or abuser. While comics are riding the same wave of change as Hollywood, we have specific, unique issues that need confronting. We have harassment problems on every side, from editorial to creative to fan. A lot has been said about fans harassing creators, especially women, with the #MakeMineMilkshake campaign and Chelsea Cain’s decision to leave Twitter when attacked for her work on Mockingbird. But creator harassment and bullying of fans online is the same kind of “secret” that Berganza’s behavior was. There are creators so well-known for this that when I told friends I’d joined The A.V. Club’s comics review team years ago they warned me to never review certain creators’ work—at least not if I was going to be critical. Having encountered one of them firsthand before I even came to The A.V. Club, I knew why I’d been warned. And it’s easy to see how editorial staff gets away with abusing freelance creators. Berganza is just one of several examples. The instinct in situations like this is to protect people who are suffering under abuse and harassment that’s reinforced by traditional power structures, be it gender or job. It’s far more difficult to talk about what happens when a popular creator is the one behind the bad behavior, or when the target of their attention isn’t as sympathetic as a couple of genial Marvel editors getting milkshakes. It’s nearly impossible to talk about what happens when the perpetrator is a woman, or LGBTQIA+, or beloved by either of those groups. We’re still so wrapped up in Berganza that we haven’t started talking about the root cause of the problem, the misogyny and racism and ableism and homophobia that have run rampant through the comics industry for years. People show up for catchy hashtags and write at length about the wrongs done to characters from underrepresented groups, but it’s a lot harder to get that same turnout for real-life problems. Berganza is ultimately responsible for his own behavior, but there are employees at DC who sheltered him and protected him until the press forced their hand. The number of abusers and harassers in this industry, as in any other, is far smaller than the number of people who condone their behavior with silence. Months ago, in the middle of a conversation about a creator’s poor response to criticism, another professional claimed that because the people who make comics are freelancers, publishers have no responsibility or recourse when they behave. Putting aside just how disappointing and frankly ridiculous that is, if people genuinely believe that publishers cannot be counted on to protect the industry (and themselves), the only recourse is that we must be self policing. We’ve not done a great job of that so far. We haven’t started talking about the root cause of the problem, the misogyny and racism and ableism and homophobia that have run rampant through the comics industry for years. There are no easy answers going forward. There’s no place in a safe, inclusive comics industry for someone like Berganza. We need publishers to take responsibility and action against anyone they pay before it becomes a PR disaster, regardless of if they’re full-time employees or freelancers. We need creators to publicly hold their colleagues accountable for bad behavior toward other creators and fans. We need to believe people when they come forward with allegations, especially when they’re against our friends and especially when the accusers are women, people of color, people with disabilities, or LGBTQIA+. We need to not assume that just because someone is from one of those groups themselves doesn’t mean they haven’t harassed or abused others. We need to seriously talk about helping comics creators unionize. But primarily we need to take in the full scope and depth of the problems we have with harassment, bullying, and assault in this industry, from creators blasting fans and critics online all the way up to men like Berganza physically abusing people. It’s not that they are equivalent: They are symptoms of the same disease, one we’re capable of curing only if we see that they’re connected. Flash showrunner suspended over "a pattern of alleged sexual harassment"